In an attempt to parse each weight class in each division, starting this morning, by the time I almost finished Division I it was time for pizza with the two photographers you will see tomorrow sporting fresh from the factory "Louisiana Wrestling News" shirts. Taking into account a 7 a.m. wake-up call, I decided I can only do some personal observations. The only way to judge teams prior to the tournament is an analysis of seeds. For the teams with a chance to win their Division's team championship, I noted the top eight seeds at each weight for each team. As an example: In Division I at 145 lbs., Holy Cross has the #1 seed, Brother Martin the #2 and Jesuit the #3. However, adding those numbers and dividing by 14 (the number of weight classes) gives an advantage to teams without 14 entrants, as that weight class would be counted as a zero, which would skew the actual average seeding to a lower number. To avoid that, I evened out the playing field by using only the contender with the lowest number of top-eight seeds. Then, I deleted the highest seeds (the 6th, 7th and 8th seeds, usually) of the other teams until the number of wrestlers counted was the same for each team. That gave me an average seeding number for each team based on the same number of wrestlers. In Division I, Holy Cross has 12 wrestlers seeded in the top 8 of their weight classes. Jesuit had 13 and Brother Martin 14. To even the number of seeds to compare, I took off two of the higher seeds for Brother Martin and one from Jesuit. This actually results in two important numbers - the average seed for each team, and the number of additional wrestlers who were seeded in the top-eight but were not used in the average seeding calculations. Did y'all read all of that? Mayhaps I should have gone straight to the results. In Division I, taking into account 12 wrestlers and their seeds, the lowest average seed goes to Brother Martin, at 2.42. Holy Cross is 3.08 and Jesuit is 3.58. However, Brother Martin has two other wrestlers who are seeded in the top-eight, and Jesuit has one. Hence, in this scenario Brother Martin is favored over Holy Cross and Jesuit. Many thought Holy Cross looked better on paper, but Brother Martin has three #1 seeds and four #2s, and Holy Cross has two #1s and four #2s. Three weight classes have two defending Division I state champions in them. At 120 lbs., Brother Martin's Luke Cotton, one of the defending state champions, is seeded third behind second-seeded Jacob Spahn of Holy Cross. I have a little problem with this. Mr. Spahn is certainly deserving of a high seed, but he only wrestled against Louisiana opponents five times this season. And he lost two of those: one to Rummel's Blake Mateu and one to Alex Duncan of the Brother Martin "B" team (by a Major Decision). The seeding for that weight class, aside from top-seeded Cole Houser, the other defending state champions, seems to be based only on Spahn's 17-12 victory over Luke Eccles of Jesuit. Eccles defeated Cotton in a dual meet but lost to Cotton in the Louisiana Classic semifinals. Cotton should be and is seeded higher than Eccles, but he did enough to merit a second seed. The 132 lbs. weight class may be the most interesting of the tournament. Top-seeded Steven Shields of Brother Martin will be competing for his fourth consecutive Division I title, which will match Paul Klein's record set two years ago. Defending Division I champion Cole Clement is seeded second. Also in that bracket, and on the same sides as they were for the Louisiana Classic, are East Ascension's Trent Mahoney and Jesuit's Jackson DeGruy. At the LA Classic Mahoney pulled off a major upset with a pin over Shields in the semifinals. In the second round of that tournament, DeGruy defeated Clement and made it to the finals where he lost to Mahoney. Shields and DeGruy avenged their losses on subsequent dates, but they also must deal with #3 Dyllon Bernard of Comeaux and #4 Cameron Carpenter of Catholic. The last weight class with two state champions is 145 lbs. Jake Rando is undefeated and the top seed. Crusader sophomore Patrick Evans is seeded second and Jesuit's defending state champion, Eli Larriviere, is third. Larriviere defeated Evans 1-0 in the Jesuit dual meet win over Brother Martin, but an injury forced him to withdraw from the Louisiana Classic, which was won by Evans. Parkway comes out ahead in this scenario, although Live Oak is not far behind. At 106 lbs. Central's Austin Gouedy, a two-time defending Division II state champion, is seeded second to Rummel's Chris Montalbano. Montalbano has defeated Gouedy twice this season, but Gouedy knows how to wrestle a state tournament. This should be good. Morgan Manuel, the #1 seed, could have a good match with second-seeded Mason Middleton of Live Oak. Manuel has a win over Middleton, but Middleton has been "stepping up" his game of late, particularly with his Greater Baton Rouge championship over St. Am ant's Brier Babin. De la Salle looks to repeat, but not without a tough challenge from Brusly. The most interesting match in this weight class may be at 145 lbs. if top-seed Austin Franklin of Brusly meets second seed Matthew Matherne of Ouachita Christian. Franklin is going for his fourth consecutive Division III state championship, whereas Matherne brings an undefeated season to the tournament, including eight tournament tiles. 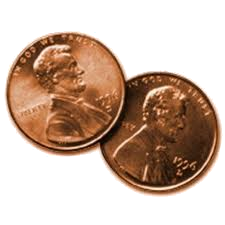 With apologies to Division II and Division III wrestlers, my "two-cents-worth" must stop. I only wrote more on Division I because I was hoping to look at each weight class in each division, but just Division I showed me that was a two-day job.